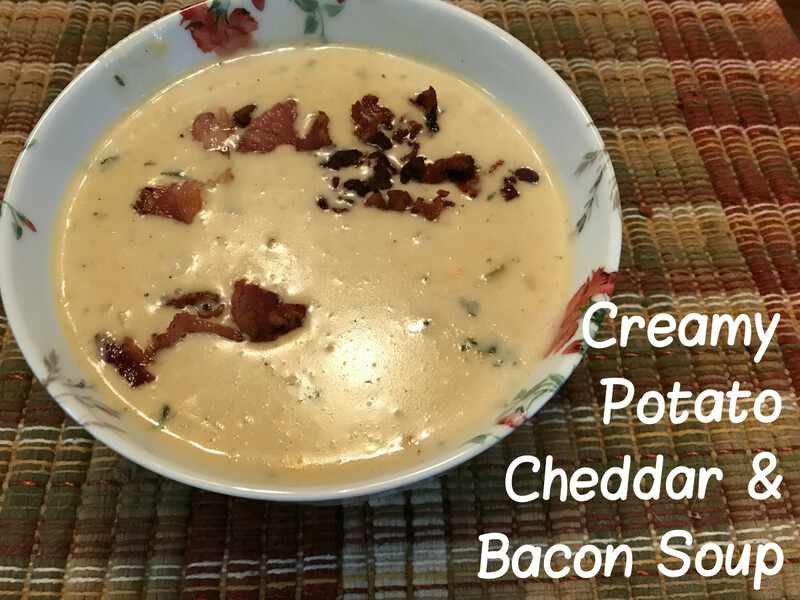 If you are familiar with Tim Hortons and like their potato bacon soup, you will really like my recipe for this home-made soup. Tim Hortons is a coffee franchisee in North America. Not only do they make superb coffee, but the soup they serve is delicious. After having my first bowl of this potato soup, I went on a mission to figure out how I could make this soup in my own kitchen. After trying different ways to imitate the same great taste, this is what I came up with. I find that if your bacon is partially frozen it is a bit easier to cut up. First start with cutting your bacon and then frying it for about five minutes. Add the chopped onions and sauté 3-4 minutes. Drain and put aside. 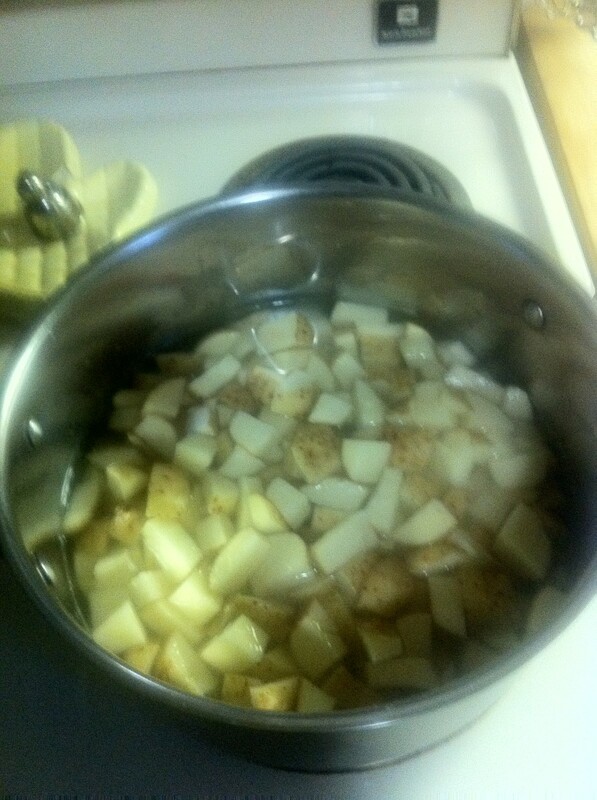 Cook cubed potatoes in a large pot in 2 1/2 cups of water. 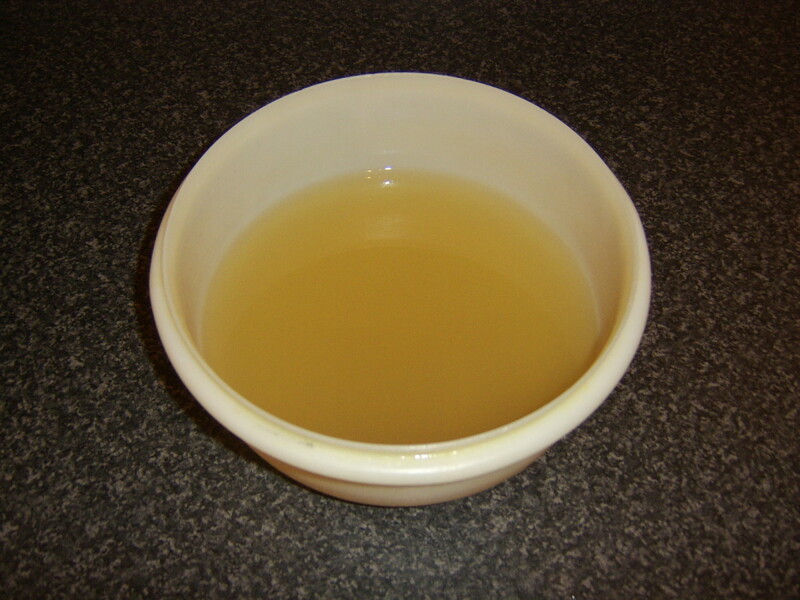 Make sure to measure the water as you will be using this water for the soup. Cook for fifteen minutes. Add sour cream to the potatoes stirring well. Add 2 cans of cream of chicken soup and stir. 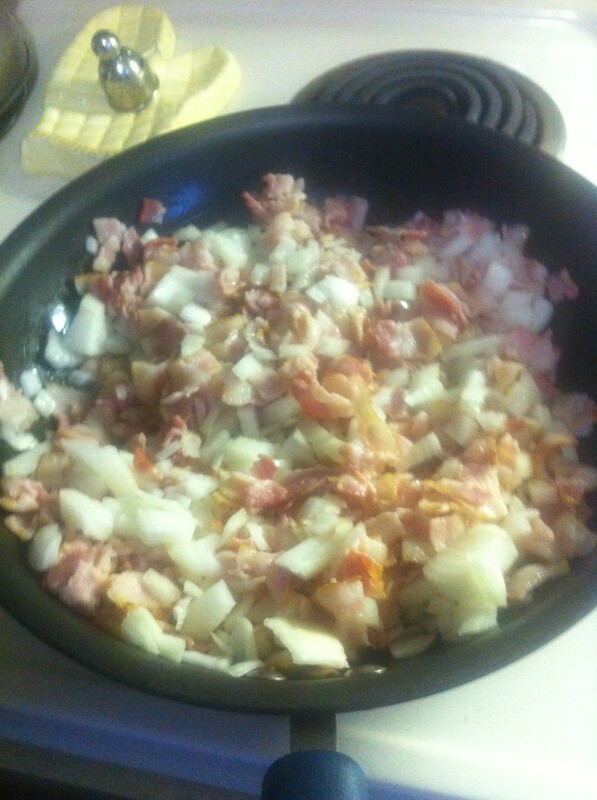 Add bacon and onions. Sprinkle with Marjoram lightly, about 1/8th of teaspoon. Stir, then gradually add 2 1/4 cups of milk stirring as you go. Heat, but do not allow the soup to boil. I do not add salt and pepper right to the soup, I have it on the table along with a small bowl of fresh chives or green onions, for those that want to add it. 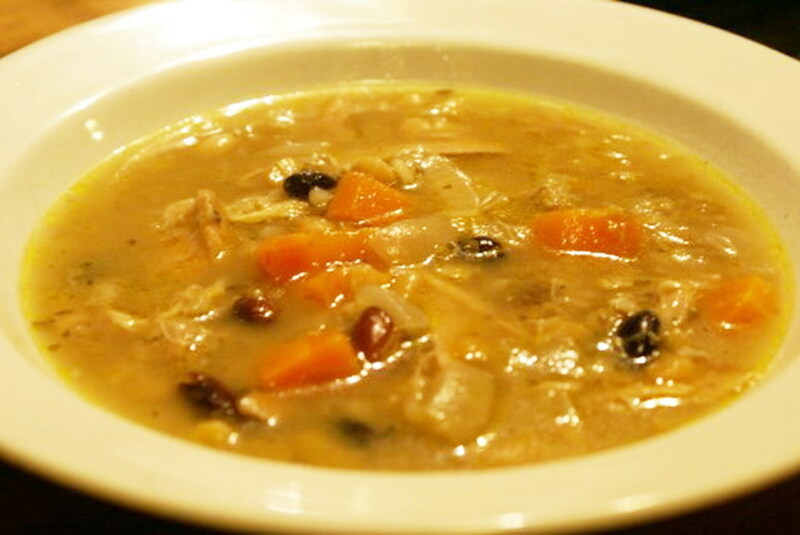 French or Italian bread along with a salad with this soup makes a great meal. Sound good? Please rate my recipe. I tasted this soup at Timmies for the first time in Welland, Ontario. Fell in love with the creamy taste and now look forward to trying to make this soup in my crock pot. Unfortunately some of the ingredients are difficult to find here in the Philippines where I now live. Nothing like tasting a great recipe to remind me of my beloved Canada. Betty, I hope that you enjoy the soup as much as we do. 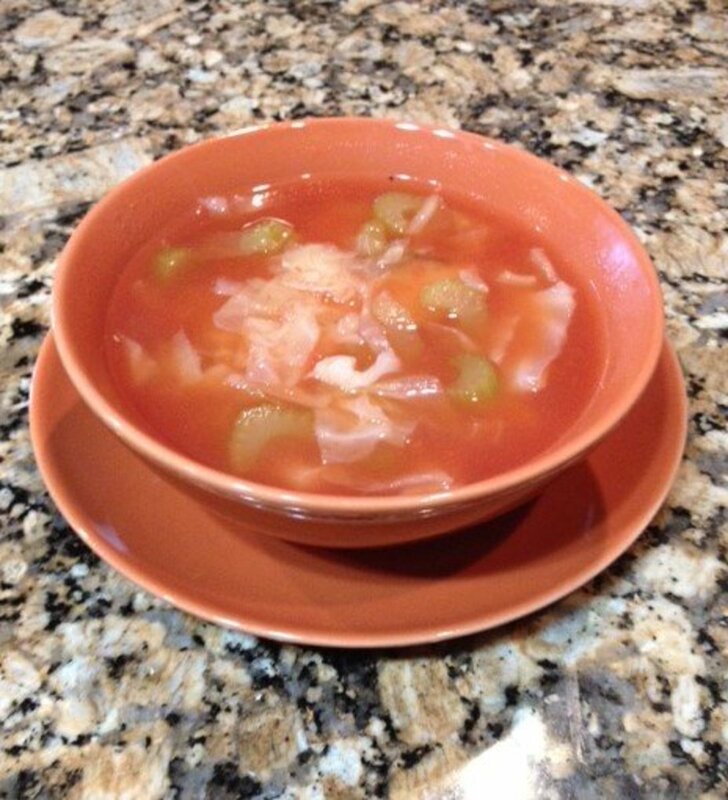 Hi Sher, I'm glad that your liked the soup and found a way to make it go further. I'd be careful though since it has sour cream in it and may curdle. So as a poor college student, I decided how to make this even MORE filling so that it would last longer. I discovered that making it as is, then adding rice to it when you go to reheat it is really good, and super filling! Hi Eli, Hope that you enjoy the potato bacon soup as much as we do. Have a great weekend! I feel accomplished and mischevious when I make a recipe that duplicates a restaurant's. If it involves bacon, it's to the 17th power! This looks awesome, Susan. Definitely trying. Brigitte, Thanks so much! Glad you loved the soup. 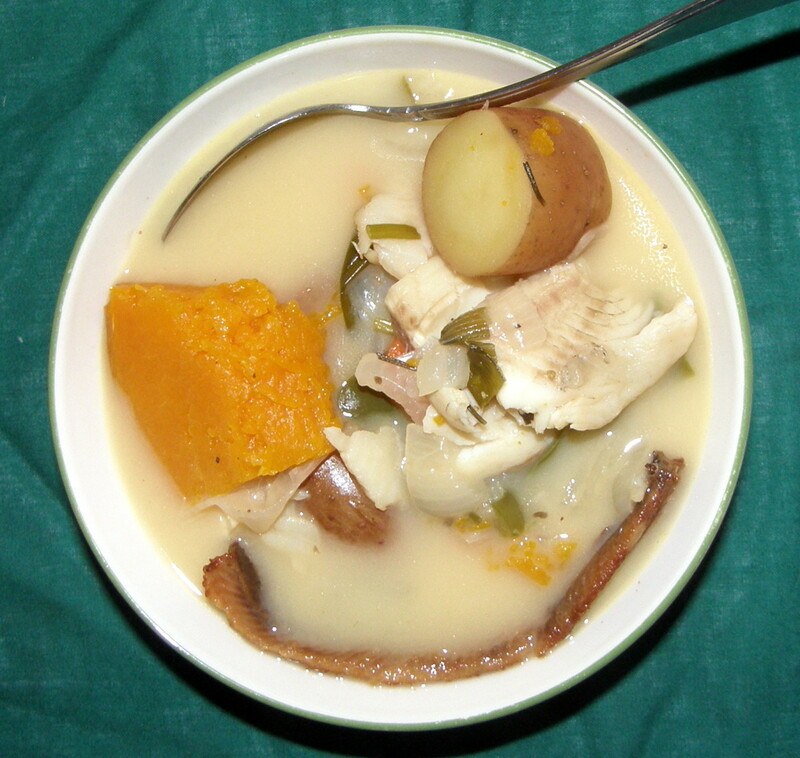 I just had to check this recipe out, after seeing your Ham Bone soup. Wow!.....another winner. This is a soup recipe I definitely need to try. My customers will love it. Thanks SZ! GoodLady, Thank you for the votes and for sharing. This is so good! I'd make my chicken soup from scratch though because I make a mean one (with so many farms with hens around). LOVE this wintry recipe thanks so much. Pinning it so I know where to find it. Voting and sharing. And voted 5 star! I always think potatoes, onions and bacon go well together. Another great recipe for my bacon loving daughter! kylee, I've been wanting to try the Philadelphia cooking sauces but haven't as of yet. Thanks for letting me know that this will work in a pinch rather than the sour cream. So glad that you liked the recipe. Annika, Thank you for letting me know. So glad that you enjoyed the soup. I made this (super yummy)I wouldn't recommend freezing it though, it'll reheat with a cottage cheese consistency. Thank you for the recipe! Cassy, Hope that you enjoy this as much as my family does. Liv, You are very welcome and I do hope that your mother in law enjoys this soup. I hope that her surgery goes well. Victoria, Hope that you enjoy this soup. I love soups! This sounds great. Going to bookmark. 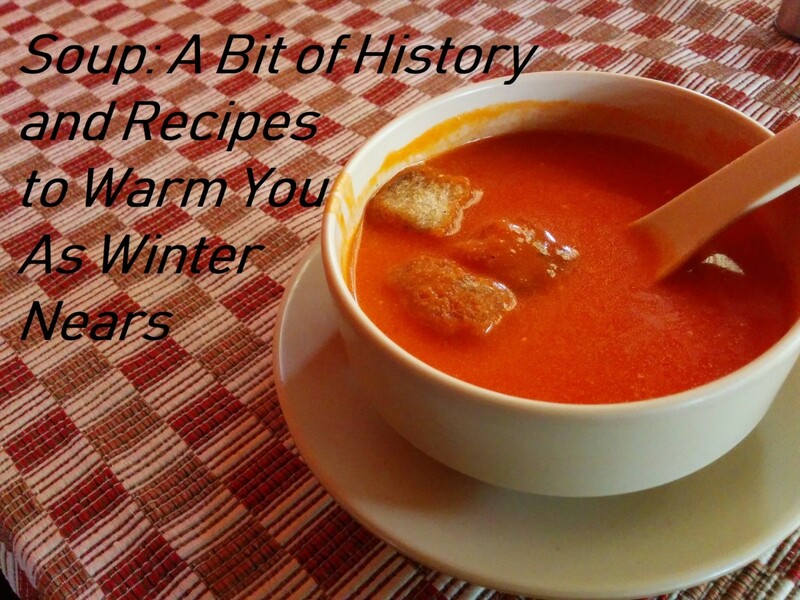 Great winter recipe! missolive, Hope you enjoy this soup. Thank you for stopping by. Please let me know if you like it once you've made it. This sounds really tasty and PERFECT for this time of year. I LOVE soup. 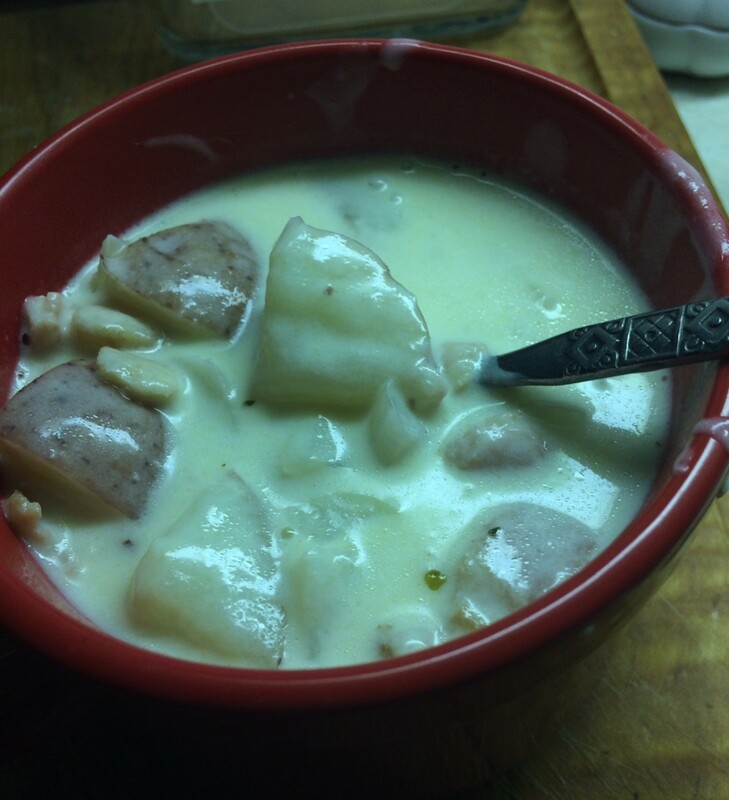 Potato soup is creamy and always hits the spot. I wish we had a Tim Hortons near-by so I could try the original. Guess I'll just have to follow your easy recipe! YUM! Bookmarking and trying this recipe in the very near future. Great hub! Easy to follow! Voted up! Rebecca, Potato bacon cheese soup sounds good! Please let me know if you like this one. This looks luscious. I've had Tim Hortons soup when I visited my mother - soup and donut holes :D. I make potato bacon cheese soup, and I bet my family will enjoy this recipe too. thejovial, Thanks for stopping by and for your comments. Terea, Potato leak with arugula now that sounds good. Looks great Susan! I love soups in the Fall. I recently made potato leek soup with arugula and it was excellent comfort food. Mr. Happy, I suppose you could use chicken stock and cream. Let me know if you try it this way and how it turns out. Mary, Not too sure about freezing due to the sour cream but You could always just 1/2 all the ingredients. Cardisa, My family loves it when I make them this soup. marellen, Rosie, vwriter, TPM and Sam, Please let me know if you like this after you've made it and thanks for all the comments. lol Your blog made me hungry. I love to cook so, I appreciated this blog. I cannot say I have tried this soup at a Timmies because I generally cook my food and do not eat "take-out" stuff (I do drink their coffee though ... not a "Starbucks yuppie" here lol) but it sounds like a good recipe. I suppose the "2 cans of cream of chicken soup" can be made from scratch from chicken stock and cream? I love bacon and I love potatoes so this is a wonderful combination. Must be delicious. 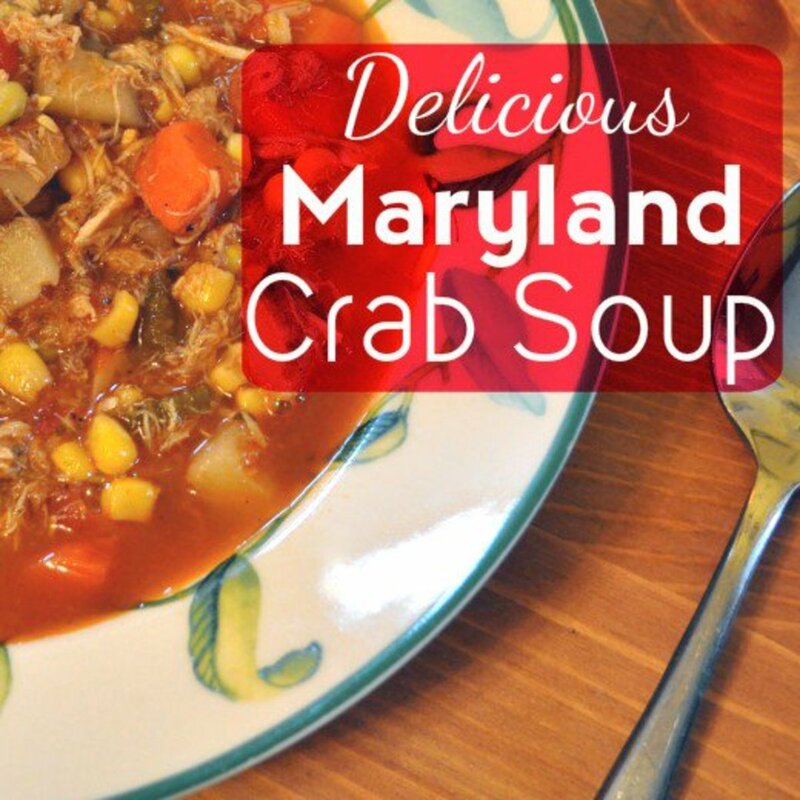 Yum.....I love making soup and will give this one a try. Oh Susan, I love Timmy's bacon potato soup. I will surely try your recipe. Thank you so much for the recipe. Cheers! Yummy. I've got to give this a try. Sounds yummy! I'll be bookmarking this! My husband and I like to make all kinds of soups, especially when it gets cooler out. Thanks for sharing! Blake, Hope that you enjoy it as much as we do and please let me know what you think after you have made it. I love bacon and I love potato soup. Why it never occurred to me to combine the two I don't know. Never having been near a Tim Hortons I'm not able to relate on the taste of theirs but I will definitely give your recipe a try. Thank you again for visiting katrinasui. I love potatoes so i will definitely try this. Dee, Katrinasui and Cedar Cove Farm, Please try it as it is very good. prasetio I just may try making this with chicken too. It would probably taste really good. Thanks for your suggestion. Ecolicious and Karen thanks so much for your comments and Karen please let me know how you like it. I just came home from Tim Hortons and had their potato bacon soup. It was excellent and my 10 month old baby boy loved it. Wanted to make it so I'm very pleased to have found your recipe. Will be making this soon. I have never heard of Tim Hortons nor taste their soup! But thanks to you I can now try your recipe at home and get a taste of Canadian food! I must say that it sounds delicious! 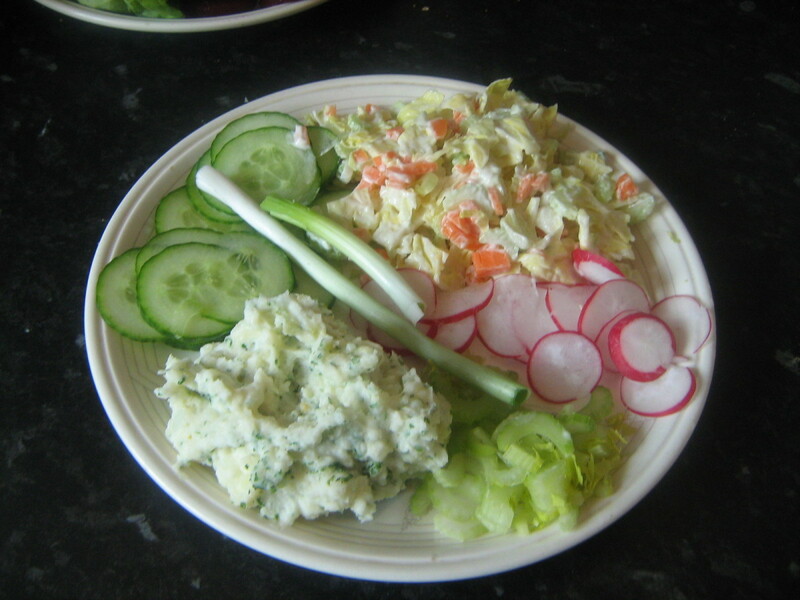 Thank you for sharing the recipe after your have tried your way to the right taste! I always end up super hungry when reading these types of hubs. Sounds good, though. It sounds delicious. Thanks for sharing such a ice recipe. I am sure that you will like it Rosie. When I make it for my family they are usually fighting for the last bowl. Denise I had to go and look at the size of my soup pot to answer you question. It almost fills a 6 quart pot. Hope this helps you. Susan-how much does the recipe make? I need 'small' portions. thanks for a great sounding recipe - bookmarked. Hiya Susan, I love Timmies' coffee, of course, and their soups too. This sounds delicious. I'm going to try this for sure. Thanks for the recipe. Thank you so much nighbear! I am sure it would be good even without the bacon cookingdiva. I love anything with potatoes! I will make this soup, without bacon as I am vegetarian. Thanks for sharing.